Anyone else might have panicked when technology revolted and an electronic lock trapped them in unfamiliar territory. But the Abilene Christian University women’s basketball team has experience in unnecessary confinement. On Feb. 13, with Sing Song having evicted them from their usual home court at Moody Coliseum, the Wildcats were forced to use the gym at Hardin-Simmons University, where Julie Goodenough’s head coaching career began 25 years ago to host the defending Southland Conference Tournament champions from Nicholls State University. It was there in her old locker room that the security system malfunctioned, cooping the team up for 45 minutes until a maintenance worker rescued them by cutting a hole in the door. Free at last, ACU popped the Colonels, 76-66, and won five of their next six to lock up a first round bye in the Southland Tournament. Junior guard Breanna Wright leads the Wildcat attack. The fun continues. Their fourth place finish in the conference standings gave the Wildcats a spot in the quarterfinals of the Southland Tournament Katy, Texas, where they routed the University of Central Arkansas, 82-54, setting a tournament record for 3-pointers attempted (35) and made (16). In the semifinals against top-seeded Lamar University, ACU stormed from behind in the final period, outscoring the Cardinals 36-21 – thanks in part to perfect free throw shooting, 20-for-20 – and won, 88-79. And if that drama weren’t enough, the Wildcats took a 24-point lead on Texas A&M-Corpus Christi University in the championship game, saw the Islanders come back to tie in the closing minutes, then won it on a huge offensive rebound from junior Lexie Ducat and two more clutch free throws from junior Breanna Wright (who earned tournament MVP honors) to secure the program’s first tournament title to go along with the pair of regular season titles from 2016 and 2017. With that victory comes the prize every college basketball player, coach and fan dreams of: a berth in the NCAA Tournament. When the field of 64 teams was announced on Monday, the world saw the name Abilene Christian bracketed in the first round with the No. 1 team in the country, the Baylor University Lady Bears. Goodenough has worked her whole life to be an overnight success. The Wildcats showed great team chemistry and grit in rallying to the Southland Conference Tournament title and their first-ever bid to March Madness. Until now. The game is scheduled to tip off at 4:30 p.m. today and will be televised on ESPN2, capping off a whirlwind 48 hours that included the ACU men’s team’s NCAA Tournament appearance on CBS Thursday night against the University of Kentucky. Come Saturday night, more people may have heard the name Abilene Christian in one week than any other in the university’s 113-year history. This will be the third time ACU and Baylor have met in women’s basketball. The first was during the 1972-73 season in the days before the NCAA officially sanctioned women’s sports. The second was Dec. 1, 2016, when the Wildcats’ four superstar seniors – Lizzy and Suzzy Dimba, Alexis Mason and Sydney Shelstead – were running roughshod through the Southland Conference but were locked out of an opportunity to compete in either the Southland or NCAA Tournament because of the NCAA’s mandatory four-year ban for any school transitioning from Division II to Division I. 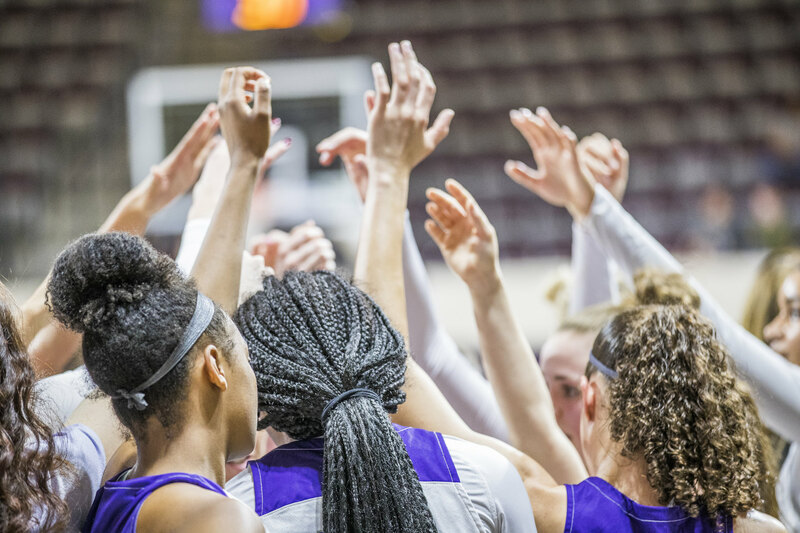 So even though the Wildcats went 33-3 over two successive seasons and won the Southland regular-season title, they had to settle for appearances in the Women’s National Invitation Tournament. In 2016, they lost narrowly to UTEP, 66-62. In 2017, ACU stunned Big 12 Conference member Oklahoma State University, 66-56, before falling to SMU, 59-52. 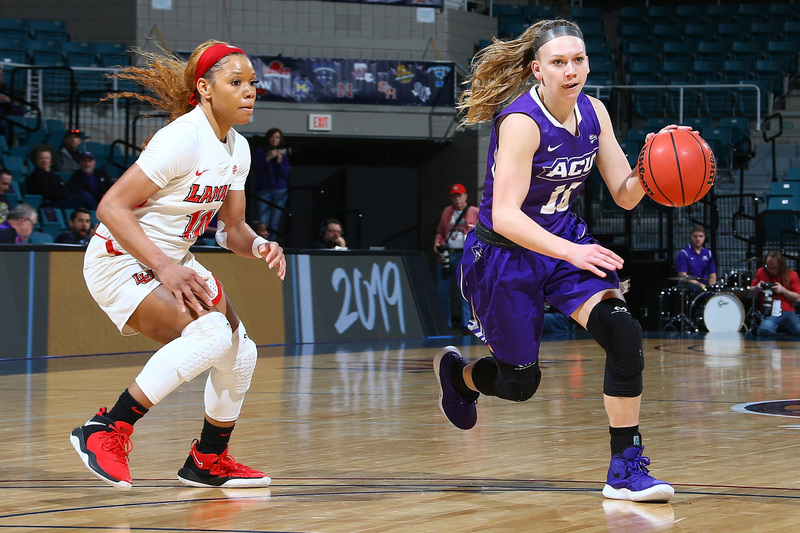 Last season, in the first year eligible for the conference tournament but with the four stars having graduated, ACU made it to Katy and won their first-round game before bowing out to Central Arkansas in the quarterfinals. Now, in just their second try, the Wildcats are headed to the Big Dance. 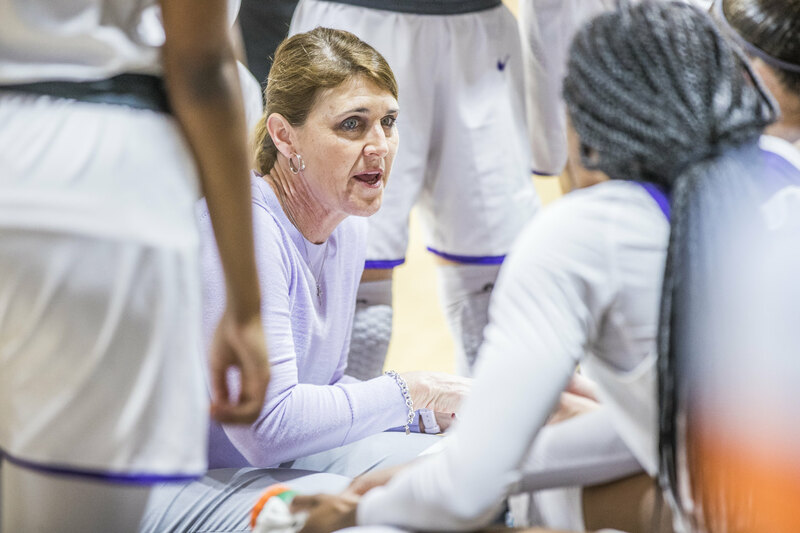 Williamson credits those four trailblazers with whom she played for two years for creating an expectation of winning that culminated in Sunday’s historic victory. This will be the 16th appearance for ACU women’s basketball in a postseason event beyond the conference tournament. 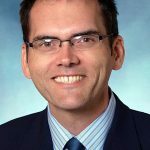 The first was in 1981 at a state tournament staged by the Association for Intercollegiate Athletics for Women (AIAW), the forerunner to the NCAA’s inclusion of women’s sports in its oversight. The Wildcats made a dozen trips to the Division II Tournament, advancing to the national semifinals in 1996, and earned the two aforementioned berths into the WNIT in Division I. But Saturday’s game against the two-time NCAA champions and No. 1 team in the nation will be ACU’s first experience on women’s basketball’s grandest stage.